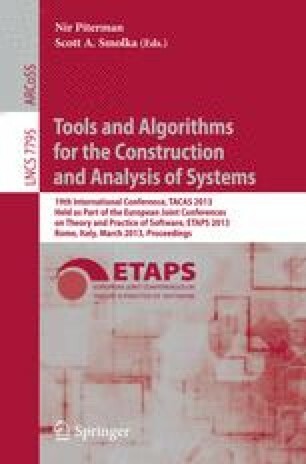 This paper proposes an algorithm for exact computation of bisimilarity distances between discrete-time Markov chains introduced by Desharnais et. al. Our work is inspired by the theoretical results presented by Chen et. al. at FoSSaCS’12, proving that these distances can be computed in polynomial time using the ellipsoid method. Despite its theoretical importance, the ellipsoid method is known to be inefficient in practice. To overcome this problem, we propose an efficient on-the-fly algorithm which, unlike other existing solutions, computes exactly the distances between given states and avoids the exhaustive state space exploration. It is parametric in a given set of states for which we want to compute the distances. Our technique successively refines over-approximations of the target distances using a greedy strategy which ensures that the state space is further explored only when the current approximations are improved. Tests performed on a consistent set of (pseudo)randomly generated Markov chains shows that our algorithm improves, on average, the efficiency of the corresponding iterative algorithms with orders of magnitude. Work supported by Sapere Aude: DFF-Young Researchers Grant 10-085054 of the Danish Council for Independent Research, by the VKR Center of Excellence MT-LAB and by the Sino-Danish Basic Research Center IDEA4CPS.